Shaazka Beyerle is a researcher, writer and educator in people power and nonviolent action. She’s a Senior Advisor at the International Center on Nonviolent Conflict, and a Nonresident Fellow at the Center for Transatlantic Relations, School of Advanced International Studies, Johns Hopkins University. She’s the author of, Curtailing Corruption: People Power for Accountability and Justice (Lynne Rienner 2014) and Freedom from Corruption: A Curriculum for People Power Movements, Campaigns and Civic Initiatives. 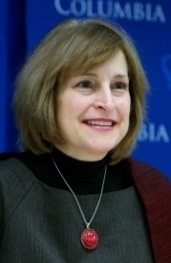 She contributed a chapter on corruption and autocracy in, “Is Authoritarianism Staging a Comeback?” (Atlantic Council 2015); and co-authored articles on people power to impact global financial corruption in Diogènes, corruption and extremism in Foreign Policy, and civil resistance and the corruption-violence nexus in the Journal of Sociology and Social Welfare (Volume XXXIX, Issue 2, 6.2012). She wrote a chapter on corruption, conflict resolution and nonviolent action in, “Conflict Transformation: Essays on Methods of Nonviolence” (McFarland 2013). Ms. Beyerle also co-authored two chapters – on corruption and women’s rights – in, Civilian Jihad: Nonviolent Struggle, Democratization and Governance in the Middle East (Palgrave 2010). She has published in numerous outlets, including Al Hayat/Dar Al Hayat; Daily Star (Lebanon); European Affairs; Georgetown Journal of International Affairs; International Herald Tribune; Journal of Sociology and Social Welfare; openDemocracy; Peace and Conflict journal (forthcoming 2016); The Independent; and State Crime journal (forthcoming 2016). Ms. Beyerle frequently teaches and speaks about citizen empowerment and strategic nonviolent action. She testified before the US Congress Committee on Security and Cooperation in Europe (Helsinki Commission) hearing on “Corruption in the OSCE Region: The Link Between Security and Good Governance,” (11.2014), and has presented at: Columbia Law School Center for Public Integrity; Council of Europe; Fletcher School for Law and Diplomacy, Tufts University; George Mason University; George Washington University; Georgetown University; Harvard University; Hong Kong University; biannual International Anti-Corruption Conferences (IACC); Macquarie University; SAIS, Johns Hopkins University; Kelman Institute for Interactive Conflict Transformation; OpenGovHub; Rutgers University-Newark/ICNC online course; University of Arizona; University of Sydney; Transparency International secretariat; Transparency International Summer School on Integrity; the UN Convention against Corruption Conferences of States Parties (UNCAC), US Institute of Peace; University of Yangon, World Bank, and Yale University. She was an Agenda Shaper for the 16th International Anti-Corruption Conference (September 2015). As well, she is a Friend of the International State Crime Initiative (Queen Mary University-London, Harvard, University of Hull), an elected Coordinating Committee member, UNCAC Civil Society Coalition; Editorial Board member, State Crime journal; and part of the Anti-Corruption Solutions and Knowledge Programme Network of Experts. From 1997-2000 she lived in Jerusalem, consulted with the Bethlehem 2000 Project, and was also the International Press Manager for the Jerusalem Film Festival (2000). Previously, Ms. Beyerle was Vice President of The European Institute, Washington, DC. She holds an M.A. in International Relations, George Washington University, and a B.A. in Psychology and Women’s Studies, University of Toronto.